Hurricane storm surge flooding causes a tremendous amount of damage. 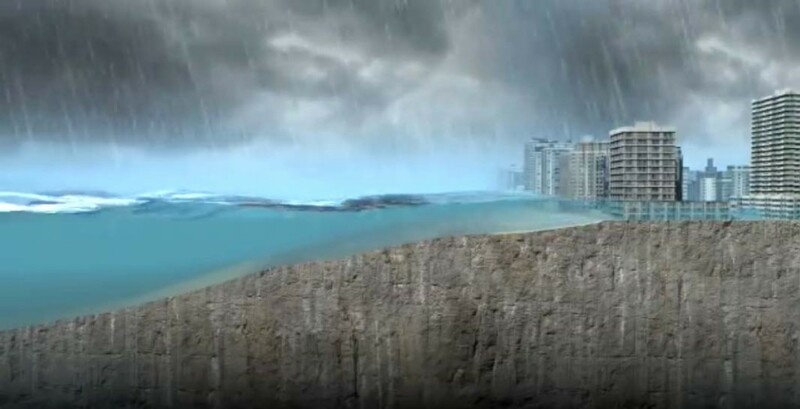 These storm surges are considered to be the cause for 90% of deaths that occur when hurricanes come ashore. Although inland flooding has been responsible for the greatest number of deaths in recent years, storm surges still remain the largest single threat related to hurricanes. Storm surge is the water that is pushed toward the shore by the force and strength of the winds circling around the center of the storm. This water that is being pushed towards the shore gains, even more, force when it is combined with the force of the normal incoming tide. This hurricane storm tide increases the water level by 15 feet or higher. The strong winds associated with the hurricane also create wind driven waves on top of the hurricane storm tide. This increased water level can cause additional flooding along the shoreline, especially when the storm tide and the regular high tide happen at the same time. The fact that hurricanes have the potential to elevate the surging water level 10 feet or more above the mean sea level, this represents a significant danger to much of the United States Atlantic and Gulf coast areas. This is the main reason that these coastal areas are evacuated as the hurricanes approach. The height of the waves and the storm surge when they the shore is also affected by the shape of the ocean floor. In very specific areas, the height of the storm surge is determined by the slope of the continental shelf. 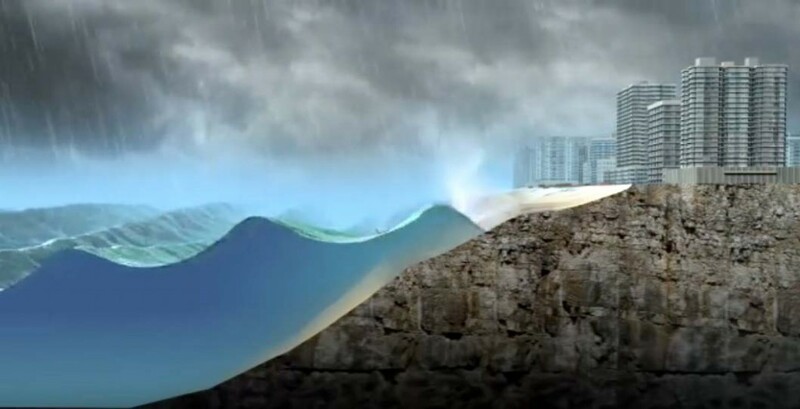 A long shallow slope along the coastline will allow the surge to submerge coastal areas and housing developments. Shorelines that have a steeper continental shelf, will be less affected by incoming storm surges. Large breaking waves will present significant issues in these areas.